Calum Macaulay of Albyn Housing Society. Invergordon-based Albyn Housing Society completed the £2.3million deal for the one and two-bedroom homes in the Castle Heather area yesterday. With a number of landlords quitting the private rented sector following new legislation on tenancies passed by the Scottish Government last year, Albyn is looking to increase its portfolio of properties in the coming months. The homes will be managed by Highland Residential, a company set up recently by the housing association with the aim of tackling “a real shortage of affordable homes in the Highlands.” The business is part of the housing association’s wholly-owned trading subsidiary, Albyn Enterprises Limited. Yesterday’s acquisition, from an un-named seller, brought the number of properties on the new company’s books in Inverness and other parts of the region to more than 60. The portfolio will increase to over 80 by July. Albyn said the accommodation is intended for people on low-to-moderate incomes, offering an alternative for those who cannot afford to buy and are struggling to afford a private tenancy. Mid-market rent is set below normal private sector levels, but is higher than a tenant would normally expect to pay for social housing. 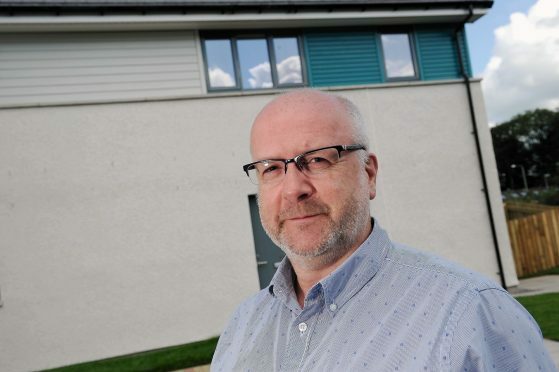 Albyn chief executive Calum Macaulay said the initiative was the first of its kind by a housing association in the Highlands. He added: “We know that there are hundreds of householders in and around Inverness interested in this part of the housing market. “The demand and the need is there and we are anticipating a great deal of interest in this. Mr Macaulay praised the work of Albyn Enterprises’ business development manager Sam Cribb and her colleague Louise Cook over the past year to establish Highland Residential. Albyn plans to devote “significant investment” to maintain the properties managed by the company and their surrounding environment. The Private Housing (Tenancies) (Scotland) Act, passed by MSP’s in 2016 and coming into effect this year aims to provide increased security for tenants, a simpler tenancy system and greater predictability for rent rises. Landlords will be only be able to increase rents once a year and will have to give tenants three months’ notice before they do. Tenants will have the option to challenge what they believe to be and unreasonable rise, referring it to a rent officer with power to determine a “fair” rent. Local authorities will have the power to create “rent pressure zones” enabling them to apply caps in areas determined to have had recent excessive increases.